2019 Kia Sportage is on the way, and the South Korean manufacturer is no longer trying to hide this. 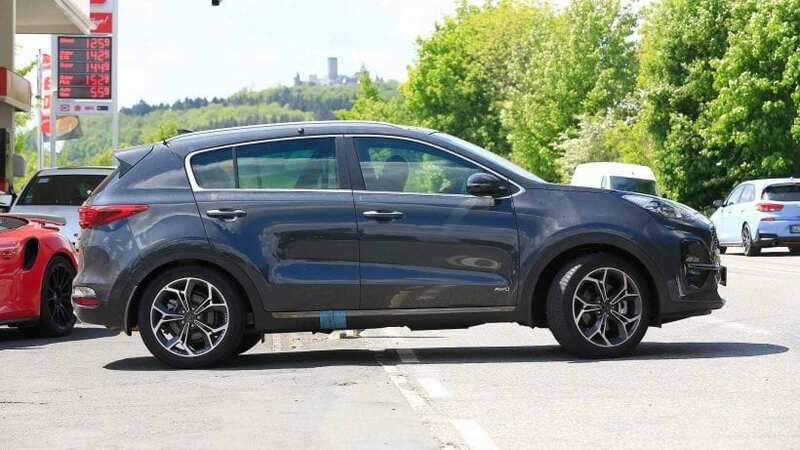 The updated Sportage was caught by spy camera on Nurburgring, and it didn’t have any camouflage on it. The model that was spotted looked like a refreshed version of the current model. Caught at a gas station in Germany this vehicle seemed as close to a showroom as they can get. As you can see on the photos by yourself, new 2019 Sportage won’t bring radical changes. It is a minor facelift intended to keep the SUV’s look fresh. Up front, on the lower fascia, in addition to the grille, fog lights got a bit chrome-treated. The tiger grille which became a trademark for this brand is now stretched more to the outward, compared to the ongoing model which has a more vertical grille style. A LED headlights come as a part of a new design, and considering what we have today, this pretty much becomes a standard on most new vehicles. At the rear end, taillights also got modernized. They are now connected by a thin stripe from one side to another. The rear bumper also got chrome treatment, and on top of that, it features a new set of reflectors. 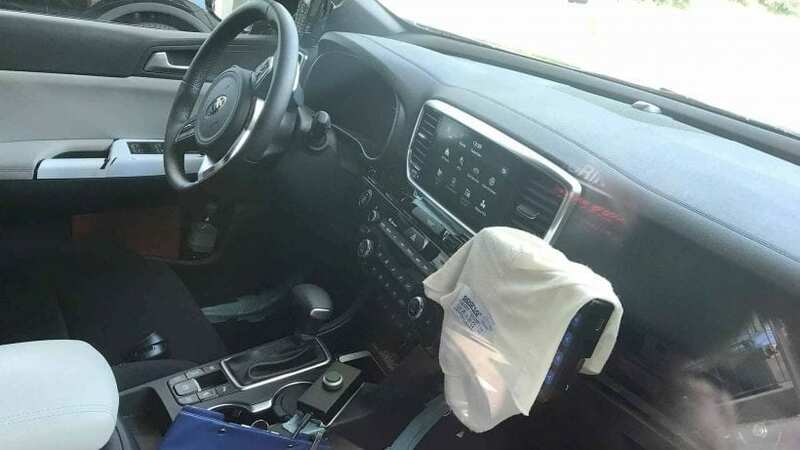 The interior of 2019 Kia Sportage was also caught on photos, or we should say in one picture. But, the angle at which it was taken doesn’t give us an ideal look. Because of this, we don’t know for sure what cabin changes Kia has in store for us. What we can tell is that it will come with an updated infotainment system, which will now fit the center stack more naturally. Besides this, there doesn’t seem to be any big changes regarding the interior and technology. You probably noticed Recaro seats and roll cage, but this features won’t be available on the standard model as they’re only used to provide safety for test drivers. Under the hood, the change will come with the addition of a 48-volt mild-hybrid system, which should return better fuel economy and lower emission rates. The rest of the lineup will be the same as for the current model. 2018 Kia Sportage comes with a 2.4-liter 4-cylinder unit capable of producing 181 power as its base powertrain. For those of you that want more under the bonnet, there is a 2.0-liter turbocharged I4 engine which comes with 240 hp. The only available transmission is a six-speed automatic that can bring power to either front or all wheels. The fuel economy is what these mills are lacking, and mild-hybrid mentioned above should fix this. The best result is with FWD models, and it stands at 23 mpg city and 30 mpg highway. Sportage turbo AWD has MPG set at 20/23. 2019 Kia Sportage will most likely debut later this year, and it will most likely happen at the Paris Motor Show in October. 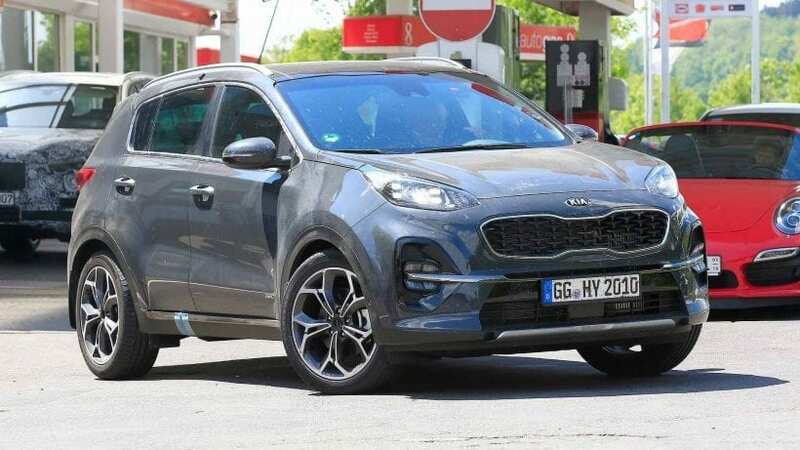 This is a logical choice as this is one of the most significant events in the auto industry, and judging by the look of Sportage test mule, there isn’t much work left to be done. As for the price, there will be small increase merited by the upgrades we mentioned above. As nothing is over-the-head or mind-blowingly improved, the cost will go up by a couple of hundred of dollars. The current version of this SUV starts at $24,400 for the base trim. Add AWD to the mix, and you’ll need additional $2,000. Moving up, and you have Sportage EX which has a couple of extra features and a price of $27,000. The turbo version, Sportage SX, will cost you $33,700. All-wheel-drive will require additional $1,500 on EX and SX models.